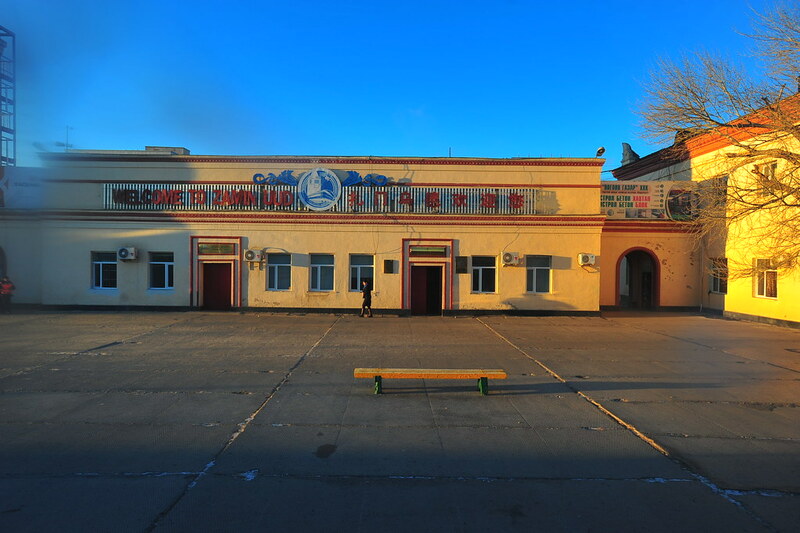 After a bit of too much drinking on the train last night and sleeping in at around 2am, we woke up at 9am for the border crossing from Mongolia into China at Zamin Uud. 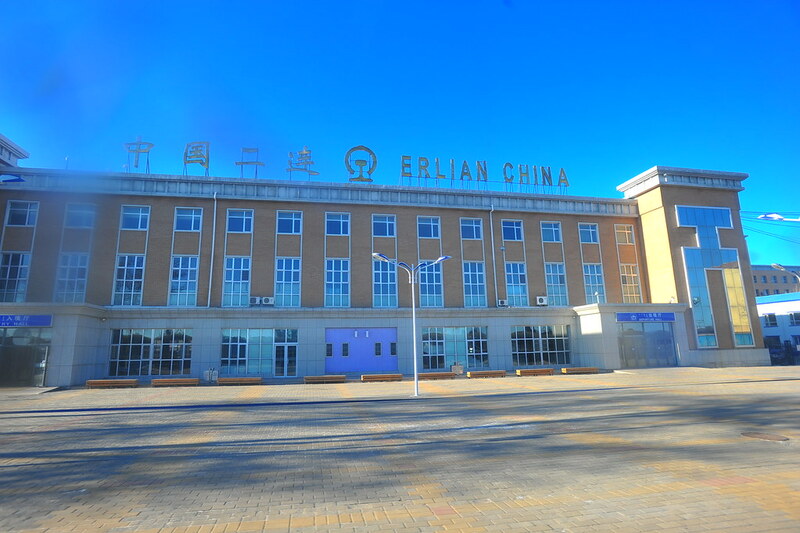 Although it was a lot less serious than the crossing between Russia and Mongolia, the process was similar: train attendants gave us simple custom forms to fill, Mongolian border guards came onboard to take our forms and passport, and then returned them with an exit stamp before our train crossed over to the other side into Erlian, China. 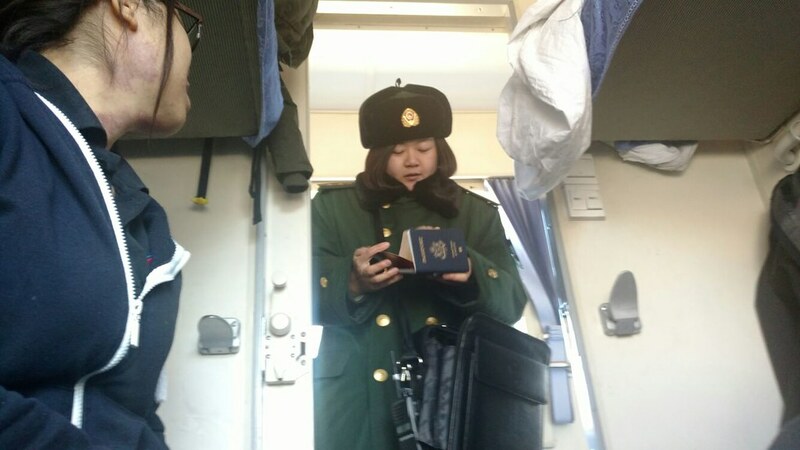 Once in China, Chinese border guards then arrived and did the same thing but stamping us into China instead. 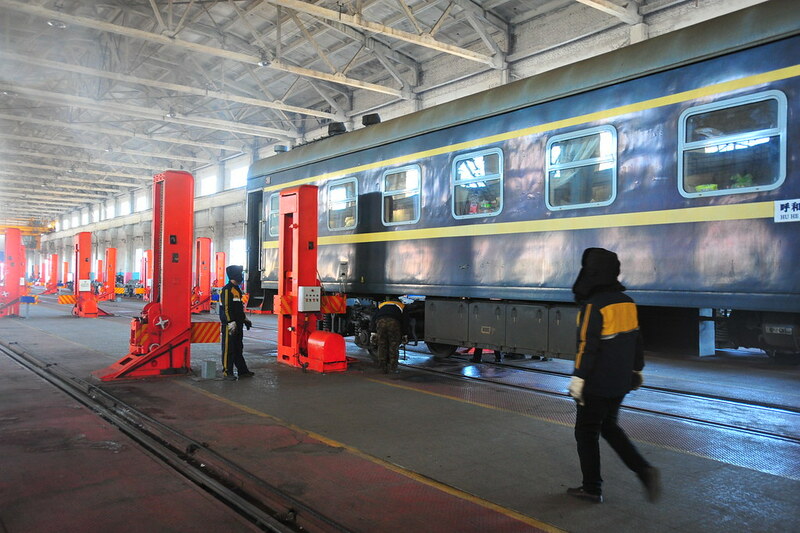 Once we got our passports back, our cars were separated one by one and we rolled into a giant warehouse to get the bogies changed (as the track gauges between Mongolia and China are different). At this point we stepped out and walked around Erlian. Not much to see other than long streets, funky looking auto-rickshaws, lots of cars, and train station noodle joints. 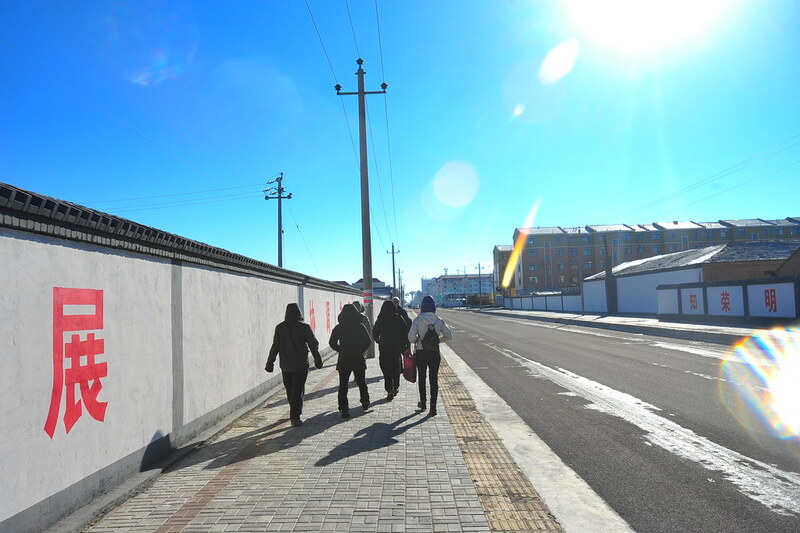 Then when we returned half an hour later, a random guard prevented us from getting back on our train and instead yelled at us to enter on the actual train platform about a kilometer away. 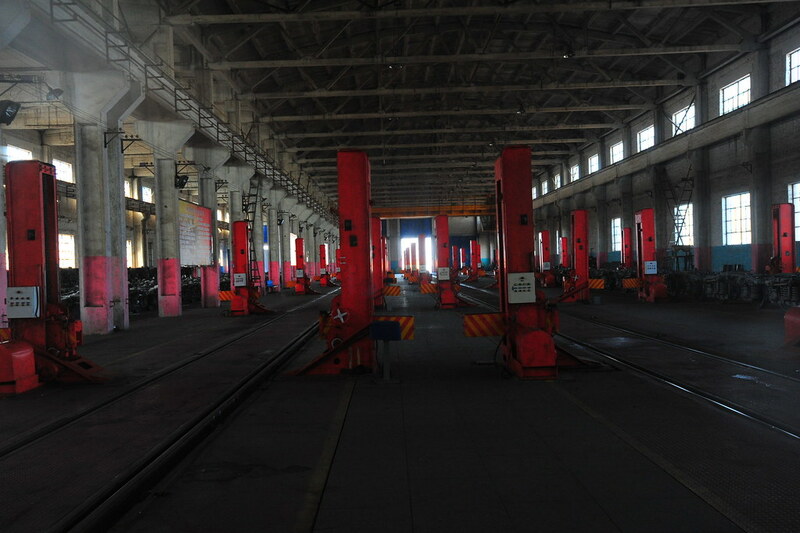 We had no idea where this was so we hunted down a helpful, friendly office agent inside a random building by the tracks, and he offered to walk with us to the warehouse to get us back in the easy way. Mind you, this is all with my 2nd grade-level Mandarin Chinese as nobody spoke a lick of English here. 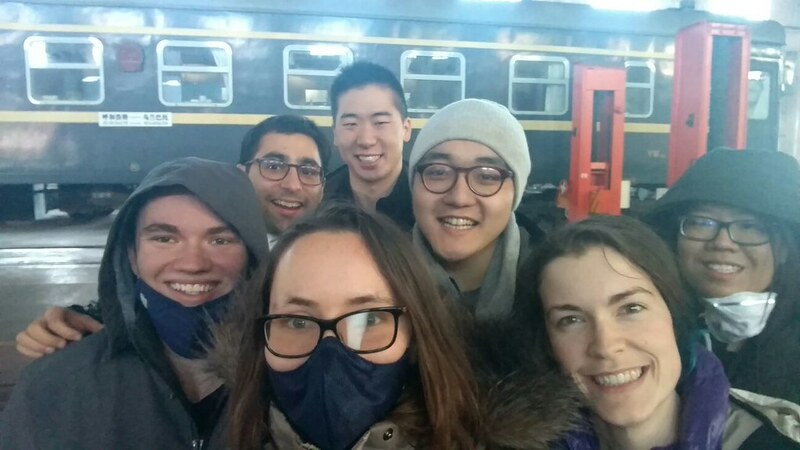 Once back on the train, the group felt they had their fill of an adventure in Erlian and we stayed on for about another hour before being well on our way into Inner Mongolia, China.